One of my favorite daily-use apps is TimeHop. This app shows you what you posted on various types of social media sites on this date in history. I love it for a number of reasons, but today’s TimeHop Tales addresses the reason it exists: to walk you down Memory Lane. As I get older and the MonSter continues to wreak havok upon me like I talked smack about its mama, I am more and more appreciative for this app’s ability to jog my memories. One of the features I enjoy in this app is called “Retro Video,” and it is a short video by YouTube’s Watch Mojo featuring notable pop culture events taking place on that day in history. I particularly like the part where they show a clip of the #1 song of that day. That is Falco’s iconic “Rock Me Amadeus,” the #1 song on this day in 1986. I remember it well: I won the vinyl single of it! During that sixth grade year in 1986, Mrs. Henshaw held a contest: for every non-assigned book you completed, you got points per page. At the end of the year, those points could be used in an auction for a number of various items which could only have come out of her own pockets (something I didn’t appreciate or understand at the time). The biggest prize was a Sony Walkman...and as both a voracious reader and a music-obsessed preteen who could not afford to buy a Walkman of my own, I was bound and determined to win that prize. And win it, I did. It became a cherished posession of mine for years. That’s no exaggeration; I vividly remember going on a camping trip in Tennessee with my family and using the headphones (and R.E.M.’s tragically underrated and difficult to find first EP, “Chronic Town”) in a desperate and ultimately fruitless attempt to drown out my dad’s infamously loud snoring whilst in high school, more than five years after first winning it in the Reading Auction. But the Walkman wasn’t the only item I won that day. I got some neon-colored paper clips (that I used to make earrings with), a book of “Encyclopedia Brown” trivia, and a vinyl 45 single of (you guessed it) Falco’s “Rock Me Amadeus” (I’d tried winning the single for Whitney Houston’s “Greatest Love of All,” but was outbidded, as I was saving points for the Walkman). For those of you unfamiliar with this song: it is a very 80’s New Wave tune about the life of genius composer Wolfgang Amadeus Mozart (1756-1791). Like another 80’s classic, Nena’s “99 Luftballoons,” it was sung mostly in German. I don’t speak German, so I was mostly in the dark about what exactly Falco was singing (ah, those pre-Google days when we were left wallowing in ignorance about foreign pop songs with no inferior English versions available...looking at you, Nena). That changed when my brother, who was stationed in Germany when he was in the Army, came home a few years later. Imagine my joy to find out that Falco named Mozart the first punk rocker ever! This is a song near and dear to my heart, thanks to all of the good memories associated with it (although in all honesty, I like “Vienna Calling” better). So thank you, TimeHop, for letting the late, great Falco rock me once again. 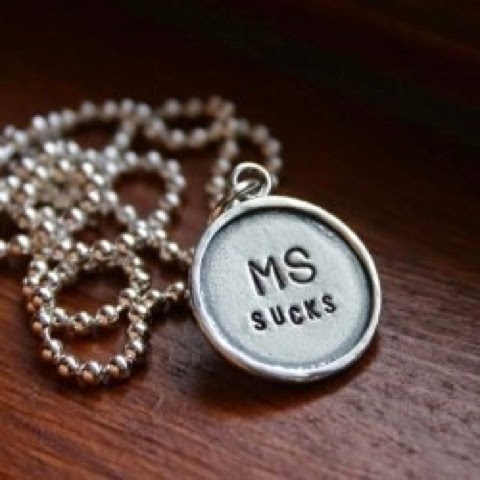 It’s #MSAwarenessMonth once again. 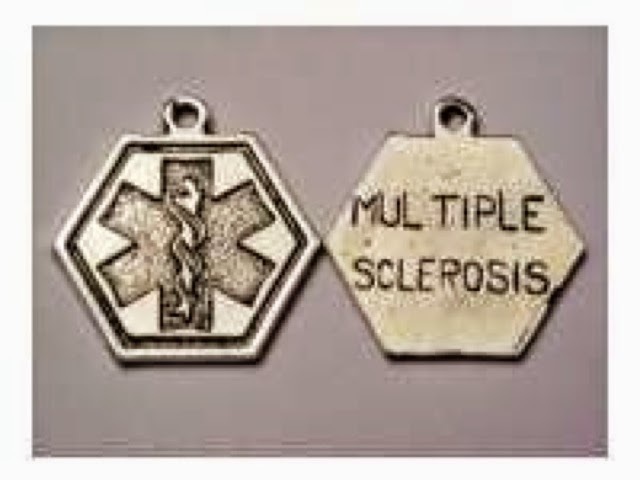 So for the next few days, I will share some info on MS and my journey with it. 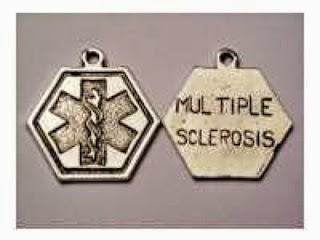 I’ve officially had MS now for about 23 years, and MS-related trigeminal neuralgia for around 20. However, my doctors think there’s a good chance that I actually had a pediatric case. It couldn’t be diagnosed, as next to no one believed you could have it that young back then. Two incidents make me think they might be right. The first happened in 1990, when I was 15, during a time when the summer heat was unreal (MS is heat-reactive). I found myself unable to stay awake, especially during the afternoons, and I started to get frequent, unexplained bouts of pleurisy, amongst other weird symptoms. Then all the weirdness stopped just as abruptly as it had began. The second time was at Miamisburg High School. I did some work on programs for a public access channel, and on this occasion, I was operating a boom mic during an interview. As before, it was during a heat wave. Before I knew it, I passed out. Just fainted, right then and there...a mortifying experience when you’re 17! For a few weeks after, I was utterly exhausted, plagued with ear infections, nausea and vertigo, and completely incapable of coping with the heat. As I did during the first bout, I slept during the afternoons, whether I wanted to or not. But once again, it went away as quickly and mysteriously as before. Fast forward to 1995. I took a hot shower, walked towards my bedroom, and BAM! I fell. I could not stand up or even move: my legs felt like they suddenly turned into Jello. For 20 of the longest minutes of my life, I sat on the floor, with no feeling whatsoever in my legs. It was terrifying. After that, a veritable cascade of symptoms started to appear. The MonSter was unleashed. And this time, there would be no years of remission afterwards. On my next post, I will talk about how I got diagnosed, and how very hard it is for most people (including yours truly) to get that diagnosis...which included doctors insisting I had postpartum depression, and a doctor laughing at me when I told him I was concerned I might have MS!